Over the past week I have tried three completely new sweet snack/dessert recipes and am very much in love. Not only did each one satisfy a different craving I was having, but they were all completely VEGAN!!! I think it is so cool to be able to enjoy treats and not feel guilty because the majority (if not all) of the ingredients are whole and have some sort of health benefits. As a nutritionist it gives me a lot of encouragement that there are recipes I have tried and can share with people that simplify and “healthify” foods that may not have been so great (nutritionally) in the past. I used a recipe from a great vegan blogger at Happy Herbivore. 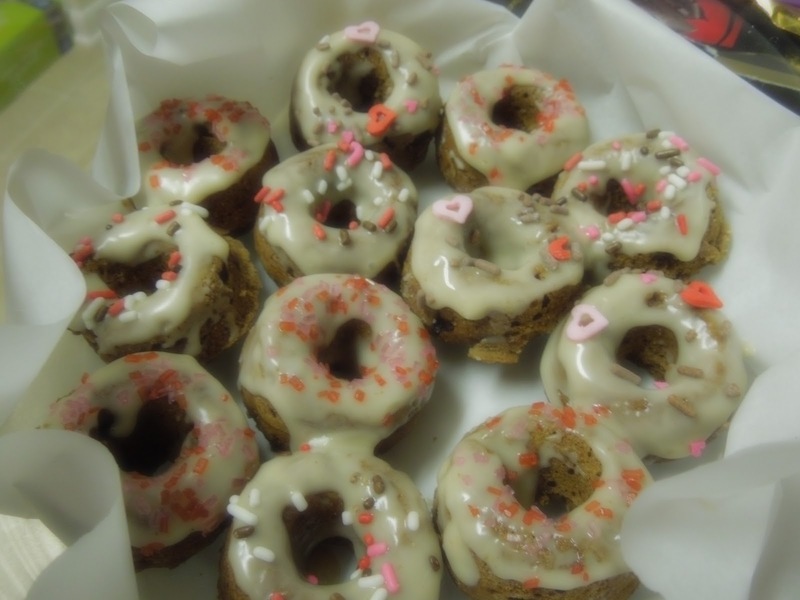 The original recipe was intended for 9 large donuts, but I only had a mini donut baking tin, so the original dough recipe yielded 36-40 mini donuts. Woot woot!! 2. Combine all dry ingredients and then add in the wet ingredients. Mix until everything is evenly combined. 3. Spread the mixture on a parchment covered baking sheet. Then stick in the oven for 15-20 minutes (I’d check it at 15, depending on how hot your oven gets). 4. Take out of the oven and let it cool. 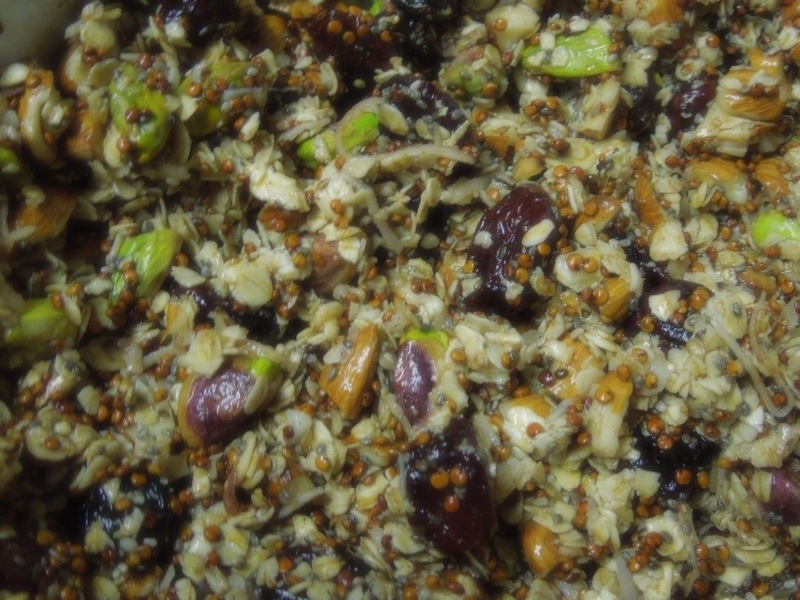 Pick up the edges of the parchment paper and the granola will break into oat clusters. Eat plain or with a plant-based milk, over oatmeal, yogurt or ice cream. I had been wanting to try this recipe for a while and am so glad I did. They satisfy your sweet tooth and are really simple to make. 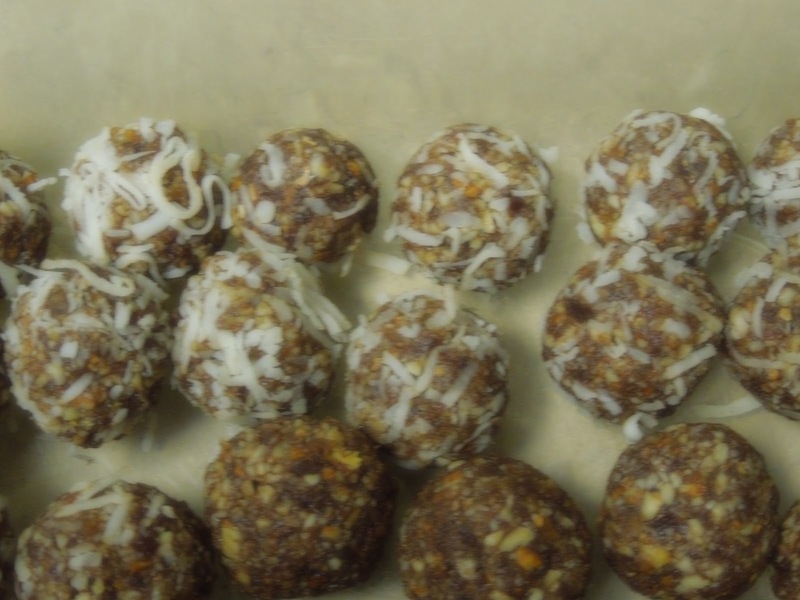 The only variation I did was use maple syrup instead of honey and roll some of the balls in coconut…because the combo of coconut and chocolate is awesome.